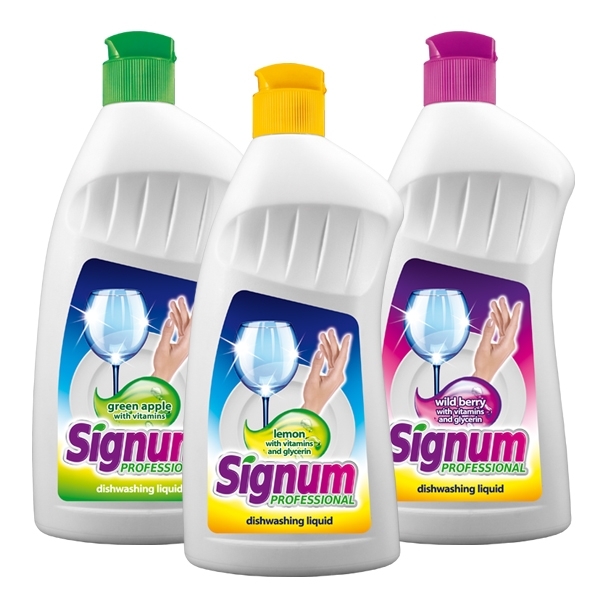 Signum is a line of economic washing detergents. 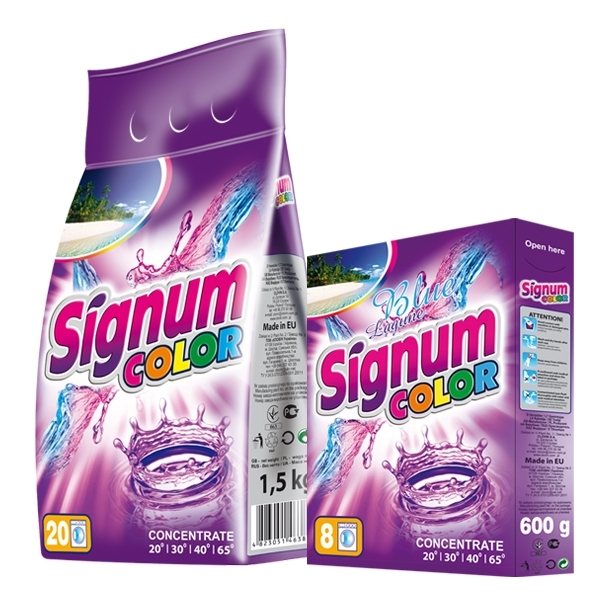 Signum brand contains washing powders and dishwashing detergents. Economic liquid with a pleasant smell. For manual dishwashing. A powder with a pleasant, delicate fragrance designed for washing lightly soiled clothes. It perfectly dissolves at 20°C, which means high usefulness in hand washing and driven wringer washers. It enables to wash in short programs. Safe and friendly to the skin.